One of the most common questions at any dental practice is how much will it hurt? Fear of pain is universal. At a dentist’s office, that fear can be more than at any other meidcal doctor’s office. Frequently, patients will ask the dentists at Dental Partners of Boston this question when considering dental implants. 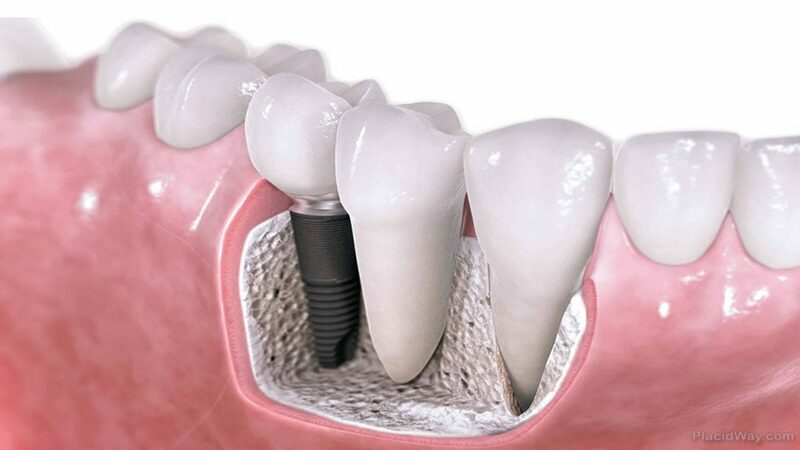 Since receiving a dental implant is an invasive procedure, there is always the possibility of some discomfort. Fortunately there are many sedation options and ways that our dentists can ensure that you feel To help you feel comfortable in our office, we compiled a list of the pain people can expect during and after their dental implant procedure. Our team will work to ensure that during the dental implant procedure you’ll feel comfortable with minimal discomfort. Prior to starting the procedure Dr. Guzman will apply an anesthetic around the area where he will be working in your mouth. Your mouth in the area of the procedure will start to become numb and ask that you communicate with us during the procedure if you feel any discomfort that you let us know. Once you are in a comfortable state, the procedure can begin. Many patients tell us that it was more painful to have a tooth removed than it is to have a dental implant placed. There have also been experiences where patients feel so comfortable during the dental implant procedure that they fell asleep from being in such a relaxed state. That does not mean your procedure was 100% painless, but it does mean that only minor discomfort can be felt. Only as needed, take ibuprofen a few times per day to lessen the soreness. If needed, our Boston dentists can prescribe a stronger pain reliever. When brushing your teeth, be extra cautious around the site of your dental implant to avoid irritating the gums as they heal. Continue brushing carefully until your soreness has gone away. Do not eat harsh or abrasive food (like apples) while your dental implant is healing. Start with liquids, and softer foods during the initial healing phase. Also, keep in mind that while all patients are eligible for pain medication after their procedure. Many find that they don’t need to take any at all. If you are interested in getting dental implants in Boston you can feel confident knowing you’ll be in good hands while working with the dental team at Dental Partners of Boston. Their team approach to dentistry ensures you receive some of the best dental care in Boston. Their combined expertise and experience ensures you’ll be able to have a whiter and brighter healthy smile! Schedule an appointment today for your initial consult, so we can see what will be the best option for your unique situation. We look forward to your visit!